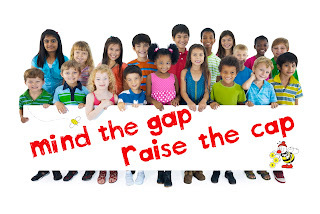 The “Mind the Gap – Raise the Cap” campaign, launched last year by childcare voucher provider Busy Bees Benefits, aims to raise the maximum weekly amount a working parent can exchange for childcare vouchers from £55 to £75. The e-petition at the heart of the campaign has already attracted over 17,600 signatures. The petition will close on 21st March, 2013. The main aim of the campaign is to bridge the gap between the rising cost of childcare and the amount of salary parents can exchange for childcare vouchers, which has not changed since 2006. Childcare costs have continued to rise during this time whilst inflation and other financial pressures have continued to make it more difficult for families to balance their budgets. In a recent customer survey by Busy Bees Benefits, 29.1% of childcare providers who responded said they didn’t know if they supported the campaign. 64.8% of respondents said they had not signed the e-petition at http://epetitions.direct.gov.uk/petitions/31669. Childcare vouchers are a popular and simple employee benefit as they are non-taxable, National Insurance exempt and they help working parents save money on the cost of childcare. Operated as a salary sacrifice scheme, working parents can exchange part of their salary, currently up to £55 per week, for childcare vouchers which can be used to pay for any registered childcare for children up to the age of 15. How Much Can Parents Save? Raising the cap to £75 will make a real difference for working parents. Basic rate tax payers could save over £300 more per parent, per year, totalling over £1200 per year, depending on individual circumstances. Both parents in a household can join a childcare voucher scheme via their employer, potentially doubling savings. The childcare voucher system is the most effective way of helping working parents save money. The current Childcare Voucher scheme is not bureaucratic and could so easily be extended to allow working parents to save more. What’s more, the scheme gives parents the flexibility to choose the best form of childcare for their child. How Can Childcare Providers Help? 1. If you haven’t already signed the e-petition, please do so now. The deadline is 21st March 2013. You can help further by asking staff and parents to sign it too.